I was looking for a change, something I was more passionate for where I could wake up and really look forward to the day. Had worked for a large corporation for many years, although I loved the company and people it just wasn't stimulating enough. I wanted to have my own business and I knew it had to involve dogs in some way. Our city (Yaletown-Vancouver) is filled with dogs- especially small boutique dogs so I decided to open a dog walking company in 2006 and never looked back! In a few sentences tell us what your company does and what makes it special. What are the rewards or pay-off you see to owning a pet care business? Let's see.. for starters, I love being an entrepreneur, my own boss and watching the company grow; all the hard work paying off has been very rewarding. Something to be proud of. You're not just working for someone else with the same pay cheque month to month. You get what you put in and watching the rewards that come with that is empowering. But you have to work for what you get, it can easily go south much quicker than the time it took for you to get where you are now. How much others rely on you for their fur-babies and the happiness you get in return is just as rewarding and just doing what you love every day is as well. My goal is to have a bigger staff in the next few years so I can step away and play more, run the business from the back end, not as involved "in" the field as I am now, so that would be my pay-off in the end. And who knows maybe eventually sell the company and retire completely. What are the challenges you see to owning a pet care business? The biggest challenge would be stepping away from the business for time off. Even when you're off, you're never "fully" off. It's hard to shift your focus, it's your business at the end of the day so letting go of that control can be difficult. I also work in the field and clients (although happy when I do take time for myself.. as it's rare) depend hugely on you and what they're accustomed to. Change is never easy for anyone and trusting someone new can be hard for some. It's just a matter of training staff to your standards and ensuring clients receive the same level of care 365 days a year regardless of who is caring for their pet. Vancouver rains a lot, but we have beautiful fall, spring and summer months. Our temperature stays pretty consistent throughout the year - average temperature at around 18 degrees celsius. Prime winter and summer months with lows of 4 and highs of 25 degrees, so we can walk all year long without any worries when it comes to the safety of the dogs. So no, weather doesn't affect our business just gotta pull out our rain gear and make the best of it! Why do your clients choose you over your competitors? We have built a great reputation around Yaletown. A lot of our business comes from referrals. There's a tonne of small dogs in the city so our small dog structure sets us apart where clients gravitate towards us naturally. But I also work hard at keeping our reputation to the highest regards, and I think that shows in the level service we provide. We stay on top of our skills and qualifications- training, dog behavioural, pet first aid, we're insured and bonded. 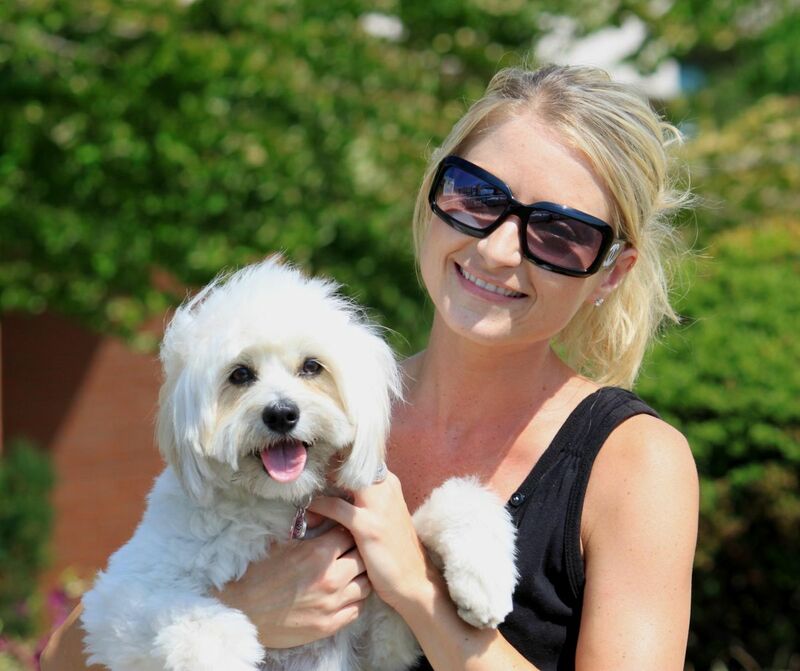 We're not just dog walkers, we're committed to working with our clients and their dog(s) every step of the way. How do you market your business? Has that changed from when you first started? I didn't market much at the beginning. Have spent more time over the years focusing on this. Spend a great deal of time networking with our local pet stores, veterinary offices, just out and about walking the dogs. I have a company vehicle with our logo and branding professionally done - and then our website, social media: primarily Instagram and Facebook (have Twitter but not as active these days) and of course business cards that rock! Don't let anything or anyone stop you from reaching for your dreams. While the pet care business is extremely rewarding, it is a lot of work and a huge responsibilty. You are always "on", it's not a Monday to Friday 9-5 job, it takes a lot of dedication, patience, understanding, multi-tasking to name a few. You're dealing with all different personalities and needs (both two legged & four legged clients). Do your research, have some skills that you can accent and use to your advantage. Take time to educate yourself on dog nutrition, vaccinations, basic care, etc. so clients can come to you for advise. It's a big bonus for new dog owners, clients with puppies, rescue/foster dogs - they really love the extra advise and support. Precise Petcare has streamlined how our business is organized and has reduced our administrative time immensely, also improving the level of service we provide our clientele. It's an added bonus that sets us apart from our competitors. We get such good feedback and the best part is it comes at no additional cost to our clients. Scheduling and Billing has never been this easy. It gives us piece of mind (that comfort factor) especially when out of town you know exactly what is going on, eliminates any hassle and keeps all our clients in the loop seamlessly. Love it love it love it!